One of the most practical additions to any workplace, our Elastic Bands Assorted Box offers great economy and value in all environments. Weighing in at approximately 454g, this large box is packed with strong and durable rubber bands made from high-quality latex for extra elasticity. With an assortment of different widths and sizes, this pack is the ideal replenishment for busy post rooms, classrooms or environments where multiple items need to be secured together for transportation. 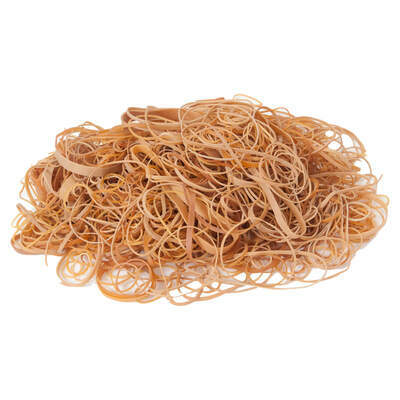 Please note, these rubber bands are not recommended for latex allergy sufferers. When stocking up your stationary cupboard, don't forget that Gompels stock a wide range of essential products like our Shatter Resistant Rulers.